Hodgeman H5 Stocking Foot Waders use a durable puncture resistant 5- layer fabric on the legs and seat for exceptional wear. The inside leg seam has also been removed for additional durability and range of movement. 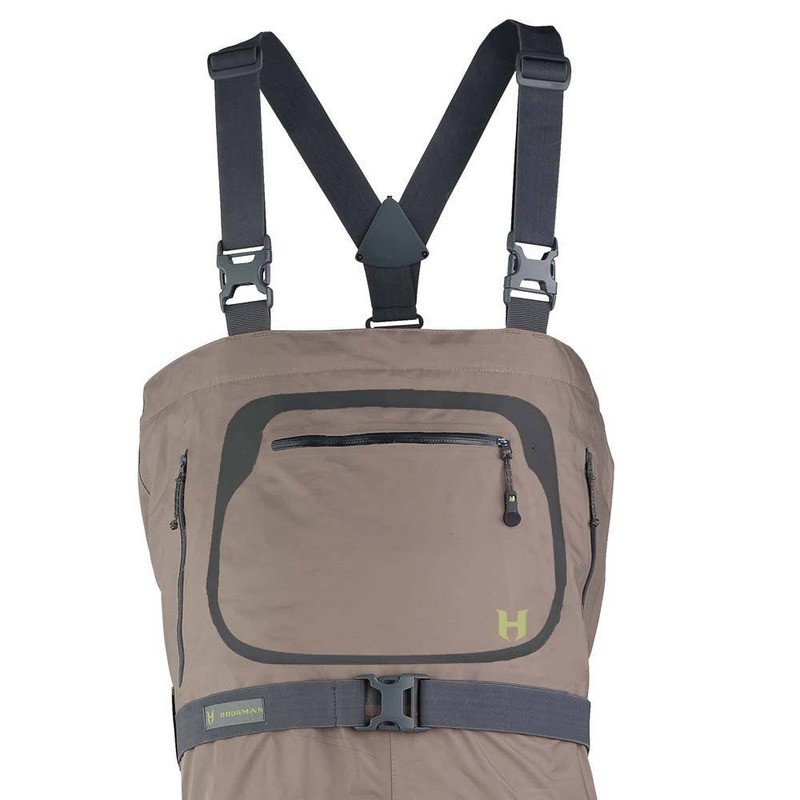 The H5 waders also have a 3- layer shell fabric in the upper waders for added breathability and features a Durable Water Repellent (DWR) coating. 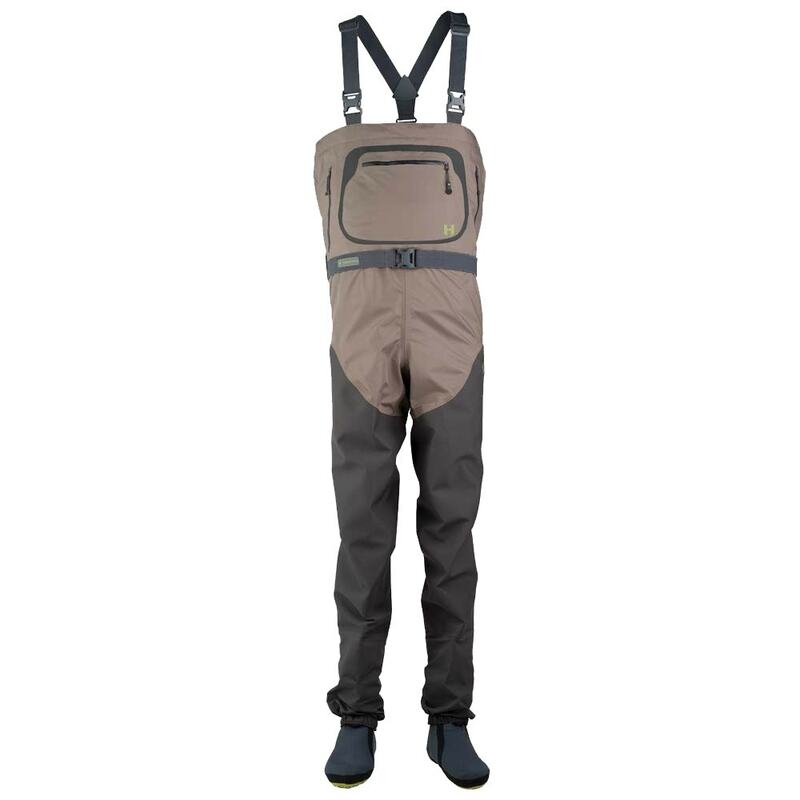 Durability and breathability come together to form the Hodgman® H5 stocking foot wader. The upper wader incorporates 3- layer shell fabric for added breathability where you need it most and features a Durable Water Repellant (DWR) coating to shed water from your wader. Microfleece- lined handwarmer pockets utilize YKK® water- resistant zippers, and a large capacity YKK® zip chest pocket is perfect for storage. This wader also accepts the Core INS removable zoned insulation system so you can transform your wader for cold or warm weather wading (sold separately). The liner zips and snaps in place to create the one and only all-season wader available. Each stocking foot bootie utilizes 5mm thick neoprene to keep your feet warmer in cold water. Additionally the Comfort Fit Gravel Guard design eliminates a bulky and uncomfortable connection point at the top of the booties.